Eeep! 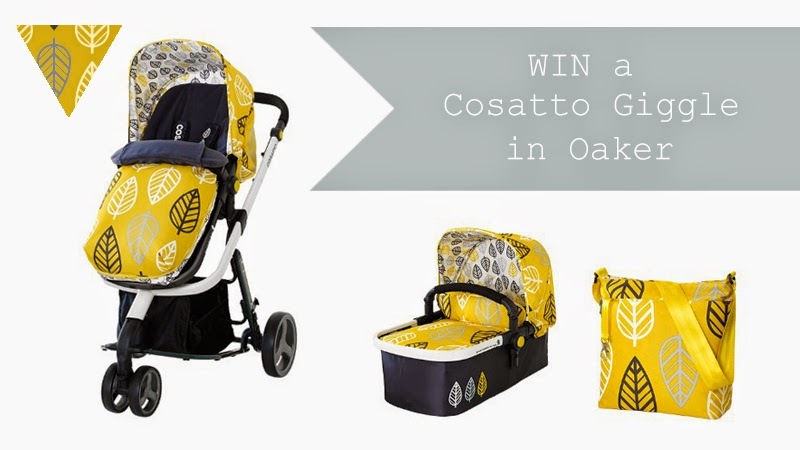 I'm so thrilled to be teaming up with Cosatto this fortnight to giveaway a Giggle in Oaker to one lucky reader. We've tried out the Giggle ourselves and can confirm it's a beaut! Perfect for all ages, we tried it parent facing with Wilf in the store and there was no issue with leg room or height. You can find out more about the Giggle here or if you would like to read a review, then my lovely friend Jess loves hers! To enter this giveaway just enter any/all of the below and good luck! T&C's UK only, this giveaway will run for two weeks. All entrants emails will be passed to be used in the Cosatto and Tigerlilly Quinn newsletter's. My favourite pattern is oaker, I love it! Love the oaker, and go lightly! Love the oaker, I'm obsessed with yellow!! I love the All Star pattern! I love love love Cosatto! Fav brand of pushchair ever! British made too!! Love! Looks great! I love the colour and pattern! such brilliant colours! I almost went for one of these and now really regret it so we'd love to win! The Oaker pattern is great. The All Star is my favourite! I love the Oaker. It's a gorgeous bright, and different pattern. A close second is the All Star.